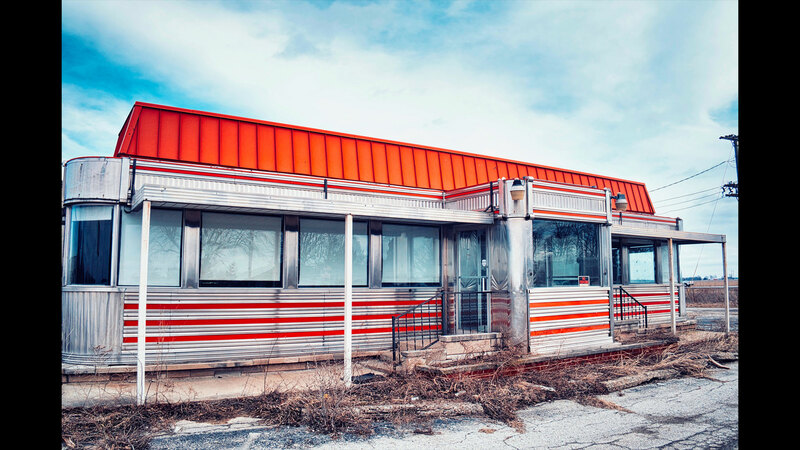 What appears to be an old diner, Thomas’ photograph captures the outside weed growth starting to take over the structure. The structure looks like it was kept up nicely, with the windows and aluminum still in good shape. The fast diner culture took a hit in the late 90s and early 2000s, and hasn’t really come back. Several diners closed and this is a great reminder of those restaurants. It’s captured beautifully, and the post-processing style on the photograph really alludes to the times.